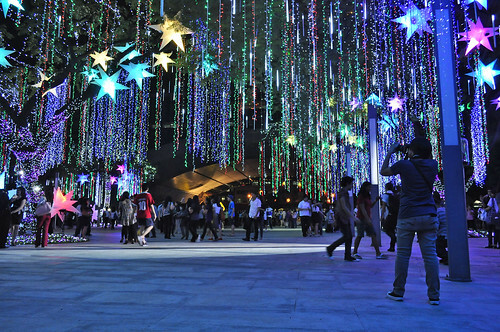 Ayala Triangle's Symphony of Lights is something that I never miss out on every Christmas season. Currently on its third year, this spectacle has grown in popularity and continues to offer a serenade of Christmas melodies and light shows that will leave its audience in awe. The Symphony of Lights is a yearly Christmas tradition that never fails to draw crowds from the busy districts of Makati and nearby places. 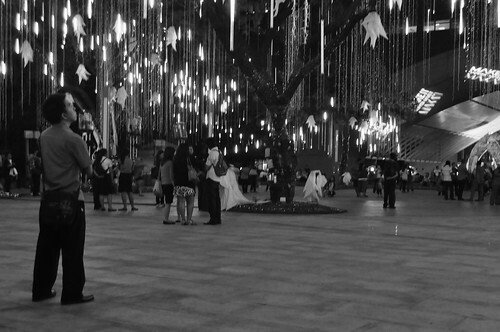 And just like the previous years, it is held right at the heart of city, the Ayala Triangle Gardens. 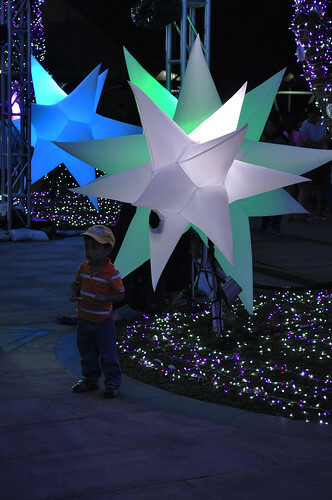 In 2009 it was called 'Symphony of Lights' while in 2010 they changed it to 'Symphony of Parols'. For this year they dubbed this lights and sounds show as the 'Spectacular Spectrum' featuring thousands of lights that are creatively synchronized with a set of wonderfully arranged Christmas songs such as Give Love on Christmas Day, Jingle Bell Rock and Winter Wonderland. Aside from the laser lights and fog machines that were used during the previous light shows, they are now using energy-saving LED lights and added inflatable stars too! 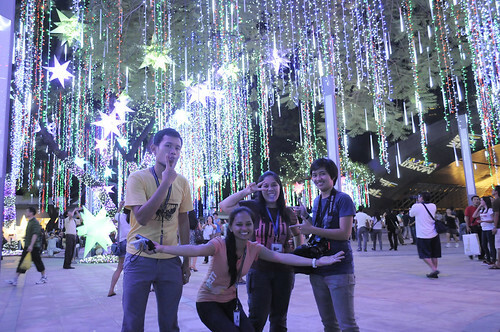 This year I brought along my officemates Len, Rio and Borj to watch the event. I noticed that Len was a little teary-eyed because of the music that was played during the light show. Len's husband is an OFW and she's hasn't seen him for years so I understand that at some point she might get carried away with the music. 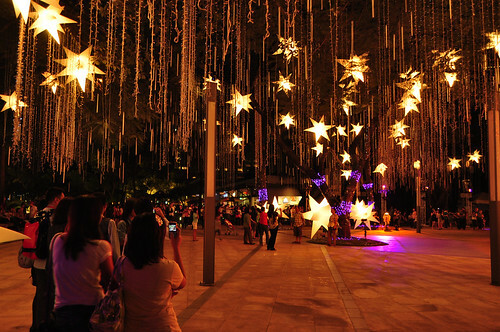 For those of you who still haven't seen Ayala Triangle's Christmas offering, you still have until December 30 to watch this amazing spectacle. It runs every weekdays from 6pm to 9pm and admission is free. 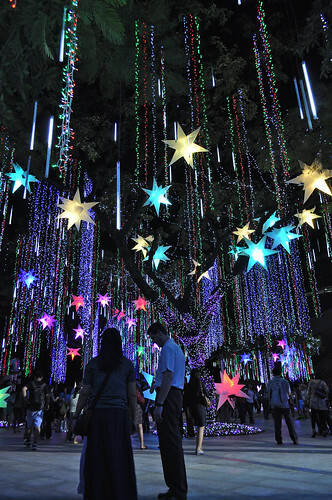 So bring out the whole family or your barkada with you and checkout this beautiful lights and sound show in Makati and get ready to be dazzled. 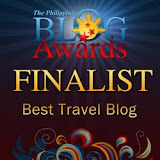 You'll have wait until next Christmas to see it again so don't miss it this yuletide season! Copyright © The World Behind My Wall. All rights reserved.